"We build the kind of rhythms in Jamaica that can last forever"
Resilience is a word that applies to five decade strong Trench Town harmony quartet turned duo the Wailing Souls. Adaptability is another. 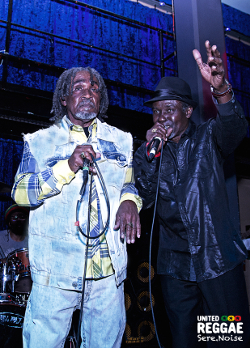 Through music shifts and line-up changes, primary members Winston “Pipe” Matthews and Lloyd “Bread” McDonald have maintained their roots. Yet they also still kept making hits long after many of their rivals had faltered or fallen back on nostalgia. Like their Trench Town neighbours the Wailers, Pipe and Bread learned singing and the business of singing from the great Joe Higgs. As the Renegades and then the Wailing Souls they cut some of the exemplary formative roots sides for Coxsone Dodd’s Studio 1 Records in the late 60s and early 70s. By the rockers era of the mid-70s they were voicing at Studio 1’s successor for dominance – Channel One – scoring a Jamaican chart smash with Things and Time. Their self-produced 1979 LP Wild Suspense secured a distribution deal with Island Records, home of their old friend Bob. The dancehall inception of the early 80s found them riding the hefty Roots Radics rhythms of Junjo Lawes. The 90s brought them acclaim in the USA and three Grammy nominations – for the eclectic albums All Over The World, Psychedelic Souls and Equality. 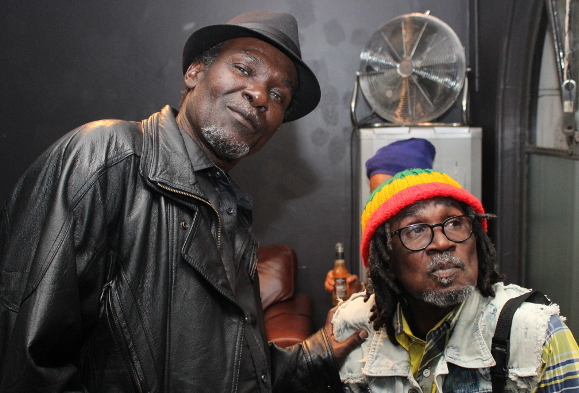 As a result of this prolonged success – a Wailing Souls live show is a lengthy affair. Angus Taylor caught up with Bread and Pipe after a near two hour set at London´s Jazz Café. During this short backstage interview the group’s two very different but complementary personalities, come through. You sang 19 songs tonight – and there were still some you had to leave out. How have you managed to keep putting out the hits across so many decades? Pipe: It’s because we create. We always create new songs. Bread: We’re in the studio now creating our 27th album. Pipe: We continue doing the right thing all the while making sure we have new creations very time. I see you have on the teacher’s shirt. That’s my teacher. That’s the next question – how did you first link Joe Higgs? Pipe: We grew up together in Trench Town. Bread: He lived on Third Street and we lived on First Street. He was a street away from us and he was like our elder brother. Living in Trench Town everybody knew everybody – Delroy Wilson lived on Second Street, Alton Ellis lived up Fifth Street. Our street, First Street was really the music street. Everybody came down there to sing because when they came to First Street there was a choir there –because everybody on First Street learned to sing quite early. That’s why Bob loved First Street. Ken Boothe who came from Denham Town loved First Street, Slim Smith, everybody loved First Street. As well as singing Joe Higgs showed you how to register your songs with the PRS and collect royalties? Bread: Yeah, business, everything. He was the man with the business. From the very first song we sang. He always told us “Register your songs because that’s going to be your pension”. Most of the artists in Jamaica – Joe is the one who told them about PRS. Pipe: He took me there and said “You’ve got to sign up. Register now”. He said “You’re always writing your songs – sign up right away” so I got signed. I was supposed to go by the office today – I’m going to go on Tuesday. Joe Higgs told us "Register your songs because that's going to be your pension"
One song you didn’t sing tonight was your Studio 1 tune Run My People. How did you come up with the lyrics to that – was it dangerous to sing about those things in those times? Pipe: (laughs) Babylon a come! Bread: Well it was at Studio 1 we did that song and I have to say we’ve never sung that song on a live show. Because that was the original version of Wailing Souls – Pipe, myself, a brethren named Sabu – Oswald Downer – and Norman Davis who used to be in the Tenors. That was the original Wailing Souls – those four guys and they were the ones who did all that Studio 1 stuff. George “Buddy” Haye and Garth Dennis came in afterwards. How did you link Studio 1? Did you audition for Mr Dodd or one of his musical directors? Pipe: We just went by Studio 1 because we had the songs. Bread: Then again, Joe Higgs was there, Bob was there. 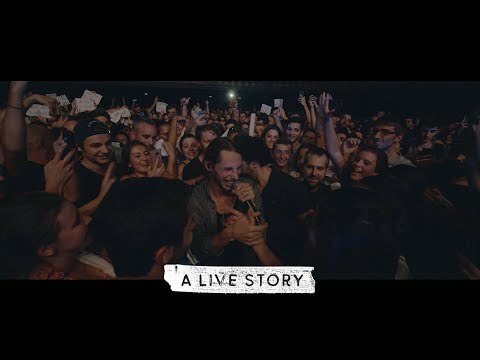 Bread: And we were the next upcoming artists. What really happened was we and Bob and all the Wailers used to rehearse. So one night Bob, Peter and Bunny left the rehearsal room – a kitchen – so me and Pipe and Vision and the next brethren were singing. Now the people are the ones who really tell you when you’re ready and some people came and said “Where Bob and Peter dem deh?” and we said “Bob and Peter dem no deh – we deh and sing”. So we went to Studio 1! Pipe: Yeah because a whole heap of people used to get confused when they heard my songs. They said it was Bob’s songs. We’d always load up our car in the evening and drive to various bases and play. Bread: It was like a form of rehearsal for us. Pipe: We’d sing songs like Row Fisherman Row, Fire Coal Man, Back Out With It, Harbour Shark. But the similarity is through Joe who taught me and also taught Bob. And he always said to me “Pipe, one day they will know who you are – because you don’t have to make people listen to you – people have to listen to you”. Every time I’d open my mouth the yard would be full. People from all around would come around because they heard the voice and the singing and we’d look outside and it would be filled with people. Pipe: …something he rubbed on the strings and went “eeeeeeeeeeeeeee”. Bread: I forgot the name but it was like a little handle. Why did you leave Coxsone? Bread: It was a growing thing. We outgrew Coxsone really. But until his death we were good friends. Pipe: We were right there with him. Bread: Actually we went to Jamaica when they dedicated Brentford Road to him and Studio 1. We sang on the street, we were there for a couple of weeks with him because he was our good brethren. We loved Mr Dodd. Because when he died we had just left him in the studio. As soon as we got back to the hotel somebody called us and said “Bwoy, Coxsone dead yunno” and we just ran back there. Pipe: Even right now he has a lot of money for us. Because we were also to collect our publishing from Back Out from a movie that was on HBO. We were supposed to come back the other day to pick up the money but he died that evening. Bread: But he’s always been a good good man to us – we don’t have anything bad to say about Coxsone. You recorded with Joe Higgs for a while in the early 70s. Bread: Joe now, he was the tutor of Bob and when Bob broke out, broke away and finally made it, Joe was doing some work and said to me and Pipe “I need you guys to come and help us out”. We sang quite a number of songs with Joe, recorded quite a couple of songs with Joe as Atarra, songs like the Wicked A Go Dread and things like that. Then he said “Alright, I’m going to have my solo career so you need to get two other guys so you can have your foursome” because we loved the foursome. So when he stepped away we went back for Buddy and Garthy – who was always hanging around. Then we started to make a move from there until 1978 with Things and Time which was our first number one in Jamaica. How did you link Channel One and the Hoo Kim brothers? Was that where you would meet Sly and Robbie – who you would work with in the future? Bread: He came to us because he had the rhythm tracks. Pipe: We had a friend that used to hang out at Channel One. Bread: And they did the rhythm for Back Out and wanted us to come sing it but Pipe said “Nah, we are going to write some different lyrics for it”. Pipe: And bam – it was number one song for a year. Bread: Things and Time. That was where we met Sly and Robbie but actually the bass lines for those songs were played by Ranchie Mclean. Robbie was really playing the rhythm guitar on those songs. Pipe: But the two best studios in Jamaica were Studio 1 and Channel One and when they had the rhythm tracks and wanted us to come and work with them we went and worked with them. 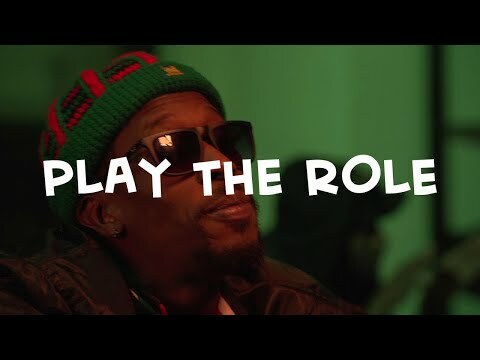 The USA has been a big part of your career – what do you think of the US reggae scene? Pipe: Our biggest seller in the United States was Shark Attack – because that was the only reggae song that was played on the big rock ‘n’ roll stations. Bread: And our first Grammy nominated album had Shark Attack on that album. It had Picky Picky Head, All Over The World, the title track – that album sold 80,000 copies. Pipe: Must be a million by now. Bread: Must be. And it’s good for us. Pipe: Because Shark Attack alone sold 170,000 copies in San Francisco. You´re also very popular in East Asia. Pipe: We play for Muslims you know? We play in places like Indonesia for Muslims. Every time we go back to Japan it is sold out – eighty thousand. Let me tell you what I did one night. You could not come down off the stage and touch anyone. And I did that. And it was like five or six rows – they lay down. I touched one Japanese girl and all that row fell down and all of them were crying. The security came and said “Man, you don’t do that in Japan”. I said “I didn’t know” but they love me there man! I played there with me and Stevie Wonder and it was 120 degrees and there were eighty thousand people so they had to have this jet – wetting up the people outside. When I jumped on the stage everybody tore off their clothes man! When we came back to America my gopher he had watches, chains, they threw everything on the stage man. I had one baseball cap and I tried to give it to one of them and it was like a war! The police had to come and say “Which one do you want to give it to?” and took it from me and I said “Give it to that one” – they were fighting man! When we last spoke on the phone at Hawkeye Record shop you said you’d not been to the continent of Africa. Have you been yet? Bread: No we’ve still not been to Africa yet. Pipe: We were supposed to be in Ethiopia this year but what happened was they postponed and cancelled the event. I’m still waiting on them to call. Bread: I’ll tell you a story. We met with Lucky Dube and his manager said “Lucky, which group would you really love to tour with?” and he said “Wailing Souls yunno. I love Wailing Souls”. So me and him started talking – Pipe wasn’t even there – and then we linked up and Pipe came on and we started making the move and said “Alright, we and him are going to do an African tour”. About a month later we got the news saying he got killed and the whole tour was scrapped. 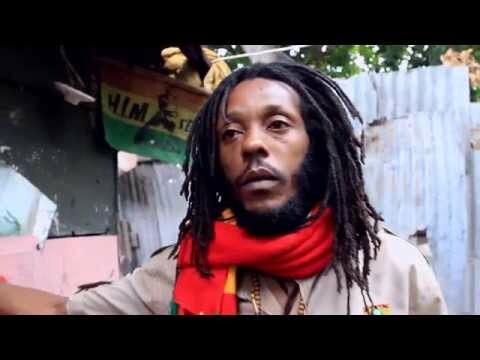 Pipe: Because they were saying that Jah Jah Give Us Life To Live and Firehouse Rock are like a national anthem in Africa. Bread: So that’s as close as we got to Africa – that’s the one place we haven’t been yet. Bread, you do some deejaying as well as singing on stage – when did that start? Bread: I always loved deejaying man. A whole heap of tunes I deejayed upon. True isn’t Pipe? Pipe: That is a natural thing for us because we are from Jamaica. But he does a whole lot of deejay thing. Bread: A whole heap of demos. I love deejaying and the whole deejaying style. But I’m a singer first. Pipe: He does a whole lot of that but you see, that is not really the money thing. The money thing is the singing thing because even though we have Things and Time and it’s thirty years since we wrote that song – it has been in two big blockbuster movies – Dear John and Marley. It’s also been in a lot of different TV series. It’s good to write your own good songs because a deejay song only sells, like, 2000. Things and Times sold 40,000 in two weeks in Jamaica. Bread: Nowadays when a song goes number one in Jamaica it sells two or three thousand copies. Back in the day, as Pipe says it had to sell 40-50,000 copies to reach number one. So the whole scene changed. Pipe: But you see, when you turn all negatives into positives it’s like you cannot deal with the negative thing. Sometimes when you have five, six, seven, eight, nine deejays on one rhythm you are killing the rhythm. We build the kind of rhythms in Jamaica that can last forever. That is what Wailing Souls is. The kind of rhythm where if you play it now it comes like you just made it yesterday. That is the kind of thing which makes our living. We’ve been collecting royalties from all these companies, BMI, Universal, 20th Century Fox, PRS, ASCAP – because we are members of all those society. If our music weren’t good music we couldn’t be achieving and living off of all those we get now. I just like the positive vibe my brother. I am a positive man and I just like positveness. And as I say, and he can tell you, every time the negative comes I turn it into positive. The deejay thing is another style of the music but it is not everyone who really goes for it. Chronixx said "Elder, can we take a picture together?" Last time we spoke a few years ago I asked you about which younger artists you liked and you mentioned Busy Signal. 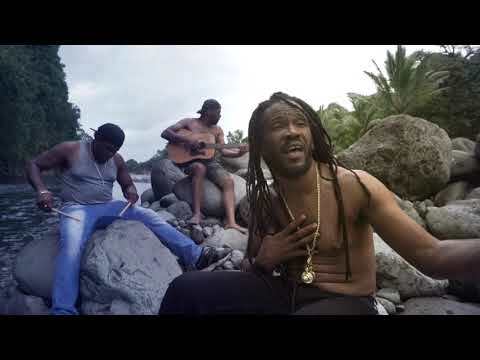 What do you think of the new young artists coming from Jamaica like Chronixx, Kabaka Pyramid and so on? Bread: I like a couple of them still, but their journey has only really begun. I like Chronixx and why I really like Chronixx is I met him at a stage show and he came up to me and said “Elder, can we take a picture together?” Someone said “You know who this is?” and he said “Yes, I make it a point of duty to do so with all the elders who laid the foundation for I and I”. So I said “Alright, mek we take the picture” but I didn’t know who he was until someone said “Chronic that”. So just that alone made me like him. I heard his songs and couple of songs I like too. I love Tarrus Riley. Pipe loves some other youth. Pipe: I personally, I listen to them but sometimes you see through as a positive person and some of them deal with a lot of negativeness so I don’t pay too much attention to what they are doing. Because I can remember when Bob used to listen to only we. He never used to listen to other people’s music. He just listened to Wailing Souls. When he was on tour he came back to Jamaica and said “Everywhere I go it’s you guys I’m hearing” and we knew that he didn’t listen to people’s music – but he listened to our music. OK I’m coming. So I just like positiveness my brother. As Bread said – the next album we have coming out – you will hear. What’s the album going to be called? Bread: We don’t have no title. Pipe: But I want to call it The Ark Still Flying High and the Foxes Are on the Loose in a Strong City. Tuition is so high the parents and the children a cry – them kind of lyrics. Education has been deprived, the cost of living is so high. *In David Katz’ book Solid Foundation he says it was Errol Dunkley – who, like Pipe, had recorded for Prince Buster in his child group the Schoolboys in the mid-60s.